Explanation: Tomorrow, May 20, the Moon's shadow will race across planet Earth. Observers within the 240-300 kilometer wide shadow track will be able to witness an annular solar eclipse as the Moon's apparent size is presently too small to completely cover the Sun. Heading east over a period of 3.5 hours, the shadow path will begin in southern China, cross the northern Pacific, and reach well into North America, crossing the US west coast in southern Oregon and northern California. Along the route, Tokyo residents will be just 10 kilometers north of the path's center line. 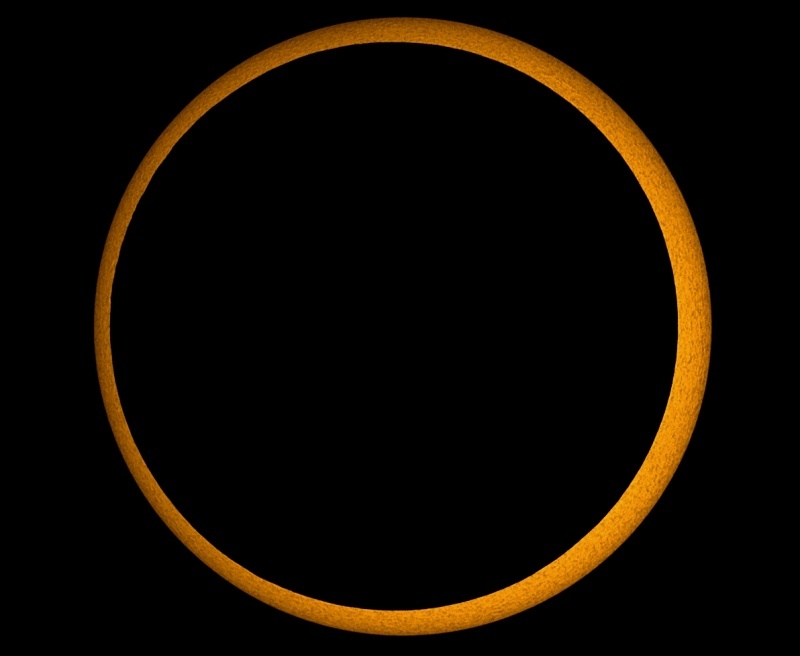 Of course a partial eclipse will be visible from a much larger area within North America, the Pacific, and eastern Asia. 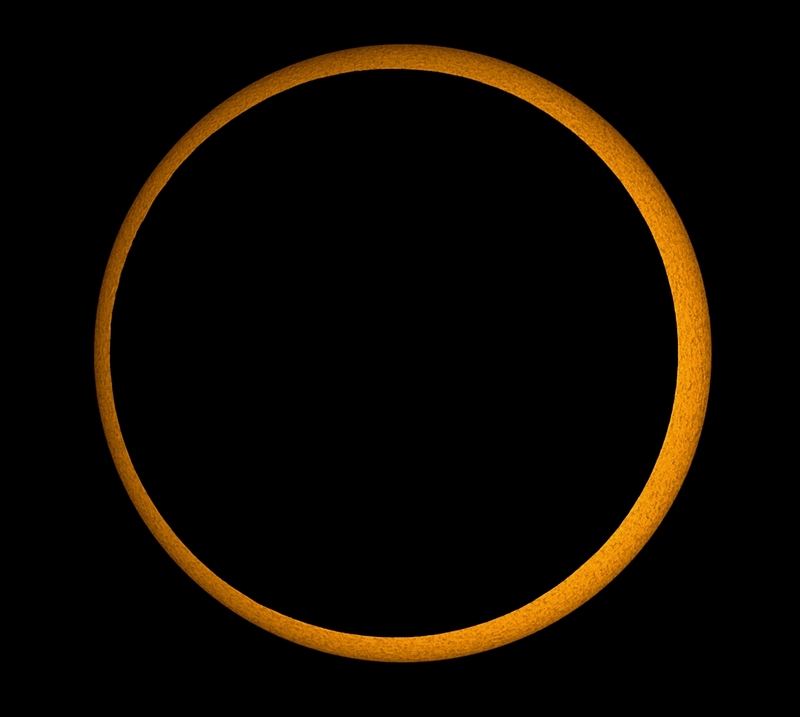 This safely filtered telescopic picture was taken during the annular eclipse of January 15, 2010 from the city of Kanyakumari at the southern tip of India.